Pick-ups and Returns 9:00am-5:00pm M-F by appointment. Where? Online ordering is currently disabled, please Call to place an order. Note: In this agreement, the term "lessor" refers to and the term "lessee" refers to the recipient of the rental equipment. By reserving a rental, you agree to this rental agreement and its terms listed above. Intuit is an industry leader in online security and provides buyers the utmost level of security. When making a payment from our site, you are redirected to an Intuit Hosted Secure Socket Layer (SSL) encrypted web page where you enter your payment information. The Intuit system adheres to the Payment Card Industry Data Security Standard (PCI DSS). Your personal payment information goes directly to Intuit and is never stored on our servers. They only confirm back to our site that payment has been made. In addition, your transactions are monitored 24 hours a day, seven days a week, by a dedicated team of security specialists at Intuit. Their mission is to identify suspicious activity and help protect you from fraudulent transactions. We are sorry you have chosen to cancel the reservation payment processing. If you have questions or encountered a problem we would like to hear from you and help. Or, feel free to continue browsing our site and selecting the dates and equipment you need. Contact us with any question you may have about your reservation. Reserve Your Experience Online Today. 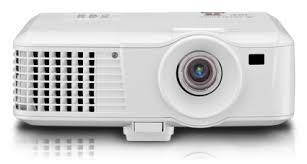 At Columbus Projector Rental, we specialize in renting projectors and related accessories for periods ranging from one day to several months. We offer instant online quotes, and specialize in renting to individuals, small business owners, and corporate employees. Why choose us? Because we make it easy for you. Our website accepts orders 24/7, so you can reserve your item anytime. With free secure online payment thru Intuit, you can reserve your equipment using any payment method accepted by Intuit. All our equipment is easy to use and we provide free training when you pick up your equipment. We also offer local delivery and setup services. Fees vary based on event and location.